Photo Writing - Exploring Photography. : Sirui T-2204x Tripod Review - A Traveler’s Friend? The hard truth of the matter is that most photographers are looking for a small, light, competent tripod that they can use on occasion, won’t break the bank and definitely won’t push your luggage weight past airline limits. For that matter, they probably want to attach it to their backpack and not duly note the increased weight of said bag. Is there such a beast that is not also going to be pathetically unstable or ridiculously small? To answer that the folks from The Sunshine Company sent me a copy of Sirui’s T-2204X tripod. This is a small and light carbon fibre tripod that in theory should meet the criteria of small and light, while still being sturdy enough to handle a medium sized DSLR rig. Mated to the legs was a Sirui K-30X ballhead, which I used for the duration of the review. The tripod itself is actually very similar to the R-2204 ‘Reporter’ tripod that I reviewed in 2015. The similarity is not coincidental. Sirui basically rework the leg tubes into various different designs. The good thing about this is that you can then choose the tripod style that best suits you. The bad thing about this is that it makes choosing a tripod that much more difficult. So, the legs are essentially the same, not only of the R-2204 tripod, but also the S-2204N, N-2204X and the extended traveller version the T-2204XL. In fact, working on this review I ended up reiterating much of what I wrote about Sirui’s base model R-2204. There are some key differences though, so if you have read the review on the R-2204 and don’t want to go over the build features again, skip directly through to the In Use and Conclusion sections where there are some key differences. Before getting into the review proper, it’s worth mentioning the excellent packaging that the Sirui T-2204X arrives in. 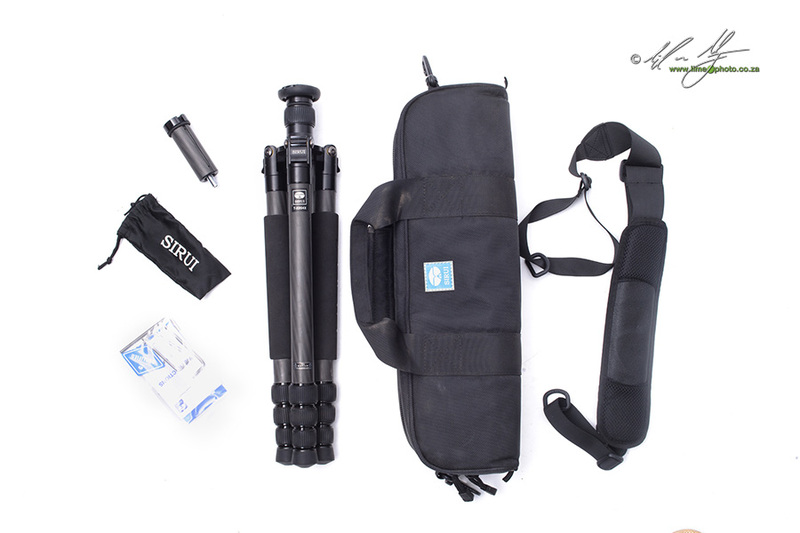 All the Sirui tripods that I have reviewed to date have been provided along with a very nicely made padded canvas carry-bag. The bag in this instance is big enough to hold the tripod with head when folded into it’s smallest dimensions. It fits easily without having to squeeze the tripod in. A thick heavy duty zipper inspires confidence in the bag’s durability. Along with the bag comes a wide strap with padded shoulder section, four allan keys (two sizes) and the ground level/centre-column extension in it’s own small material carry-bag. Like Sirui’s more professionally oriented tripods, the T-2204 has leg tubes constructed from 8x carbon fibre. Traditionally, tripods have been made using 6X carbon Fibre. The theory is that the 8-layer weave means for a lighter, stiffer tripod. This is a good thing. The outer weave leaves quite an attractive pattern that runs at a steep diagonal linear pattern around the legs. The metal components are made from forged metal, rather than cast metal. Sirui claims that forged metal makes a more compact, heavier duty material that gives a better strength to weight ratio. Certainly in my experience with Sirui gear to date, the metal components have stood up well to wear and abuse. They do scuff and leave marks admittedly, but I am yet to find a tripod that doesn’t. 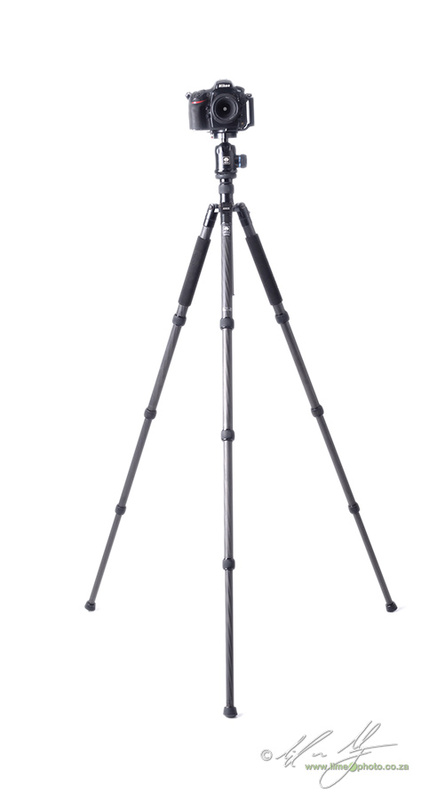 The T-2204X is a 4 section tripod in the ‘traveler’ design genre. What this means is that the legs fold up over the head for travelling, meaning the tripod and head are essentially a shorter stowed package than conventional designs. Like the Reporter series that I reviewed in 2015, the T-2204X has a maximum leg tube diameter of 28mm and a minimum tube diameter for the thinnest tube of 19mm. For a large tripod this is indeed very narrow, but for this style of travel tripod it is actually one of the larger diameter tubes available. Thoughtfully, Sirui have wrapped two of the legs in thick spongy neoprene. I have to say that I appreciate this. I often find myself working in wet or cold conditions (sometimes both together) and it really is a nice touch to grab the tripod around this foamy collar rather than on the carbon fibre directly. A side benefit of this is the increased protection that the legs receive when you strap the tripod to a side of a backpack. It’s one of those little touches by Sirui that demonstrate that even though you are buying what is essentially the base model of their carbon fibre range, you are still given features that echo the top of the range equipment. Despite being no longer than 420mm when completely stowed, this little tripod can technically reach a impressive height of 1435mm above ground (without the head attached which would obviously increase this by another 8-10cm). I say ‘technically’ since using this tripod at maximum extension comes with some significant caveats. More on that below. With the use of the included ground level kit, the tripod can get down nice and low so that the minimum height above ground is only 140mm (actually 135mm, but the specifications of the tripod claim 140mm). The angle locks at the top of the leg, have three settings at about 115,145 and 177 degrees respectively. This is fairly standard amongst good tripod legs. Of course this doesn’t mean that you absolutely have to position the legs at the angle stops, but the reality is that a tripod is more stable when it is set to the angle stop itself. It’s for this reason that Sirui don’t recommend using the tripod upside down - something can be done with any ‘traveler’ style tripod that has legs that fold up over the head. Using the tripod effectively upside down means that you can literally hang the camera just above the ground for low level macro photography. At the end of the legs Sirui have included their standard retractible spikes in a rubber foot. This remains one of the best implementations of the combined rubber foot/spike that I have used. To pull the spike out you twist the rubber foot clockwise for between nine to ten turns. Twist counter-clockwise to retract the spike. My one minor gripe might be that the spike isn’t really sharp enough. Spikes on some other manufacturers have a flat edge, meaning that the actual edge of the spike is grippier on rock surfaces that the Sirui’s is. Still, it is one of the most elegant solutions to the combination foot I have seen, and I infinitely prefer it to the combination feet on my Gitzo Explorer (well actually I lost the rubber feet ages ago - a problem with Gitzo feet) and FLM tripods. Sirui have included their removable stainless steel weight hook at the base of the centre-column. 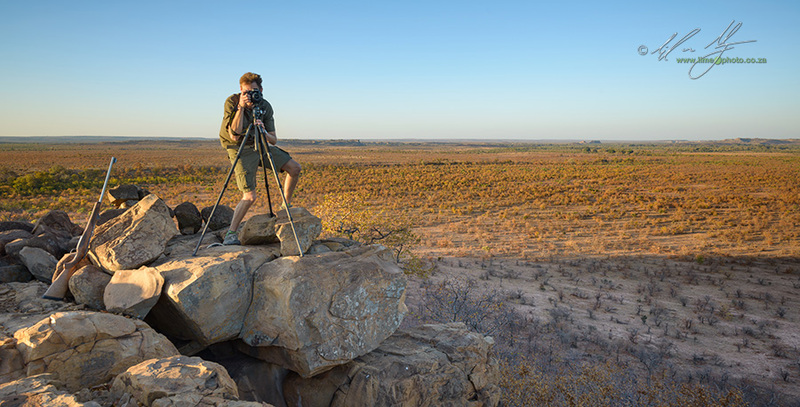 This allows the user to hang a weight, such as the camera bag, from the centre-column and thereby potentially stabilise the tripod further, as well as dampen vibration and basically make the tripod heavier in a wind. It’s an excellent feature and one which doesn’t get used enough by photographers (myself included, although I have used it on occasion and been thankful for its inclusion). The hook is spring-loaded so that it retracts into the shaft of the centre column. This is a nice touch and lessens the chance of the hook accidentally catching on things. When fully folded for storage the hook sits neatly below the shoulder of the tripod without catching on anything. At the top of the centre-column is a 50mm diameter plate, where the tripod head attaches to (officially called a ‘mounting platform’). Attachment is via a standard 1/4” or 3/8” screw with 1/4” thread on one end and the 3/8” on the other. The plate acts as a wrench at the same time so that you can screw the threaded attachment in tightly. Thoughtfully included around the plate is a rubber collar to protect the legs from being scratched by the plate when they are folded for storage. Inside the plate is a small grub screw with an allan key slot so that you can lock the tripod head onto the plate once attached. Finally there is also a rubber o-ring below the plate at the top of the column so that should the column slide rapidly down, the o-ring absorbs the impact as the head hits the tripod shoulder. Like most of Sirui’s tripods the small T-2204X was a joy to use. 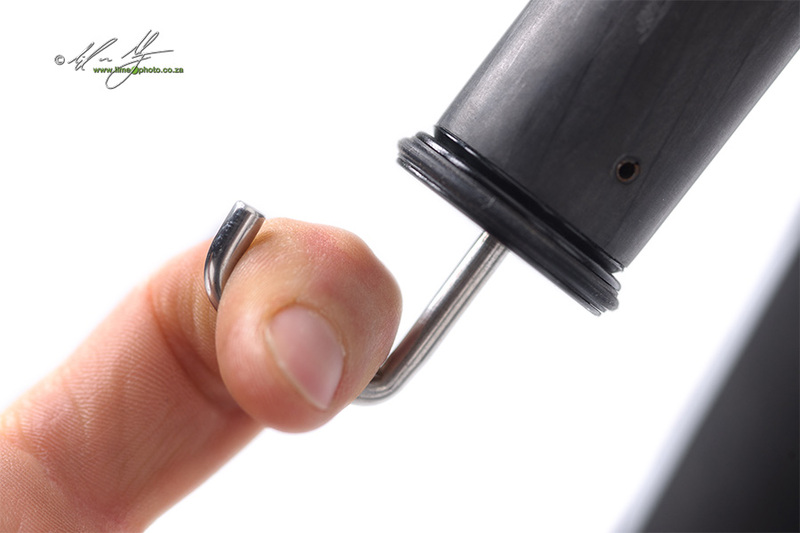 The rubber coated leg locks are have a very positive feel to them and are easy to turn without jamming up. It’s about a third to a half turn to unlock or lock the sections. One of the reasons I am particularly partial to twist locks is the fact that they are easier and quicker to set up and strike down. The T-2204 allows even relatively small hands to grip all three locks and twist to unlock in one movement. You can then extend the leg and quickly twist to lock from the top down. Collapsing the tripod is essentially done in reverse with the final locking being done by gripping all three locks and twisting clockwise. It’s a technique you simply cannot do as easily or fluidity with clip lock legs. The same angle lock mechanism that Sirui employees in their other reporter and traveler series of tripods is used in the T-2204X. This is a metal clip with a built in spring mount. To increase the leg angle you depress the clip and spread the leg wider. The spring means that as you close the legs the clip pops back into place. When I first started using Sirui tripods I was concerned that the spring looked a little flimsy. So far I haven’t had one fail on me, so I guess that concern wasn’t necessary. Even if it does fail though, the clip will still work, it just won’t spring back into place as you close the leg angle again (besides, Sirui back their tripods with a industry leading 6 year warranty, so if it does fail within 6 year’s they’ll fix it). Still on the topic of the angle stops, the legs are attached to the tripod shoulder by a solid bolt with an allan key slot. It’s possible to tighten or loosen the leg’s movement with the provided two allan keys. From experience I have found that the bolts take a lot of use to loosen to over time, but that tightening is done easily and quickly. As I mentioned above, the T-2204X technically can reach a height of 1435mm above ground. I have some issues with that though. The centre-column is the weakest point of any tripod. It’s the very reason that the most expensive and stable tripods to be found don’t have a centre-column. Working with a Nikon D800e and 16-35mm lens, I found that there was shutter slap and vibrations evident in some images when the centre-column was extended. For this reason I would suggest that using the centre-column be approached with extreme caution when a heavyish or high megapixel camera is mounted. That said, it can be used, but only if you use the most exacting technique in order to create the image. In the case of using a camera like the D800, it means using a cable release, setting the camera to mirror lockup and setting a shutter delay (not the same as self-timer) to at least 2 seconds. Then you can actually use the centre-column, so long as there isn’t a gusting wind at the same time. No, it’s far better to ignore the centre-column entirely and use the T-2204X to it’s maximum height without the column extended. Which brings me to the bizarre addition to the included ground-level shaft. Sirui should be commended for the inclusion of the ground level shaft. This is a small 90mm shaft to replace the centre-column. Use of the small shaft allows the T-2204X to get down to ground level as well marginally lighten the entire tripod if you opt to shoot without the full centre-column. The bizarre addition is the threaded screw at the bottom of the short shaft. This is designed to be added to the centre-column so as to gain an additional 9cm in vertical height. Needless to say, considering that there is an already an issue with stability at full extension, further lengthening the centre-column is just going to exacerbate an already bad situation. My preference would have been for Sirui to make the removable weight hook of the centre-column attach to the bottom of the short column as well. This would mean that you could choose to keep the ground level shaft on the tripod permanently AND be able to use a weight to further stabilise the tripod. The one thing I find that the tripod is conspicuously missing, is a liquid level indicator. It would have been an easy enough addition to the shoulder of the tripod and is something that is very useful for anyone wanting to do panoramic or video work. Yes, you can use the level on the tripod head itself, but if you are doing critical work you have to level the tripod legs before you level the head (I was also lent the Sirui LE-60 levelling base which would solve this issue, but not every photographer wants or needs this base). It’s a minor niggle in what is actually a very competent tripod. 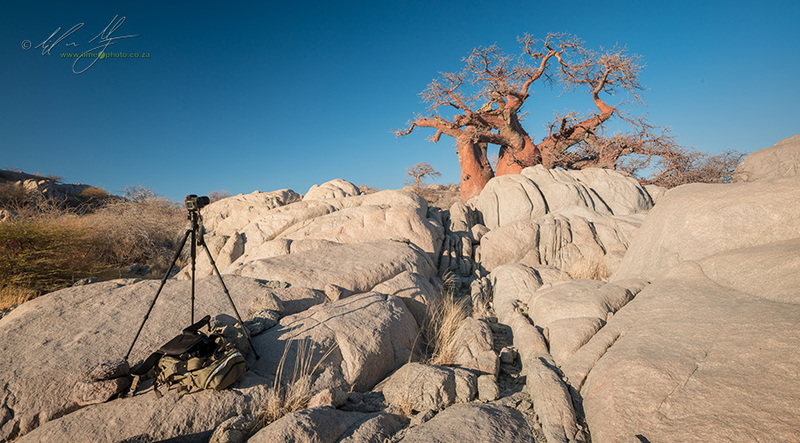 Actually using the tripod, as I did extensively on a recent workshop in Botswana for Natures Light, is a breeze. The tripod is light enough that it’s weight is basically negligible. At 1.3kg without a head it really is very light. Any lighter and it actually wouldn’t be stable without weighting the hook below the centre-column. It sets up and packs down very easily and quickly. Once up, it inspires enough confidence that you feel your camera is on a stable platform - at least when the centre-column is not extended that is. The legs slide out of the larger tubes with wonderful ease. I found I could unlock a leg section and the tube would slide without having to yank on it, meaning that I could make micro-adjustments to leg length easily while setting up for a shot. The rubber around the leg locks was nice and grippy, without being too soft or hard and didn’t slip on the metal collar of the leg lock below. One thing that does need to be mentioned, and I have intimated as much above, is that absolute perfect technique needs to be used if you want to use a high resolution camera like the Nikon D800e that I was using. Light travel tripods, although specified to handle the weight of the camera, are simply not as stable as big heavy tripods. The image below shows the difference between using good technique and simple pressing the shutter (even while on a tripod). 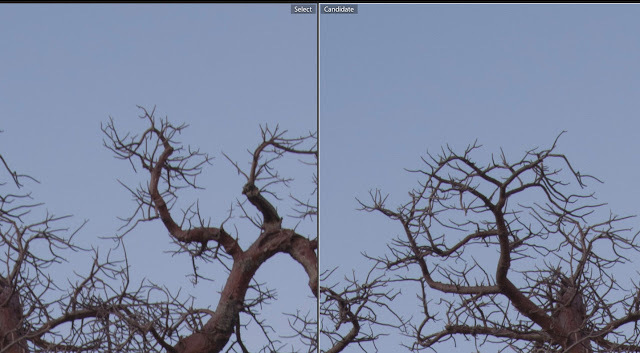 The image on the left is a straight capture without cable release, but still with mirror lockup. The image on the right is with mirror lockup AND a two second shutter delay (about a 1/15 of a second shutter speed). Although faint, there is definite vibration in the left hand image. With a lower resolution camera it probably wouldn’t have even been picked up, but with 36 megapixels or higher, it will be noticeable and will detract from the image ultimately. My concern eventually turned not to the construction or the features of the tripod, but rather to its size. It is not a large tripod by any stretch of the imagination. In the image below you can see me standing stooped behind it at full extension. There were several times when I felt I needed a little more height or length on the legs to be able to get the right angle for a composition. One needs to bear in minor though that I am used to using a tripod that extends to above my head height with centre-column and tripod head attached. One needs to think carefully about what you want the tripod for before taking the plunge and investing in the T-2204X. If you need something with stability AND height, then a larger and heavier tripod is probably a better idea. So what exactly do you want a tripod for? I opened this review with the premise that most photographers don’t like tripods to start with. They want to spend as little as possible and get a tripod that is going to be user friendly, stable and lightweight. To my mind the T-2204X fits this bill quite nicely. What complicates matters is that Sirui makes five similarly specified carbon fibre tripods, being the T-2204X, the R-2204, S-2204, N-2204X and T-2204XL. 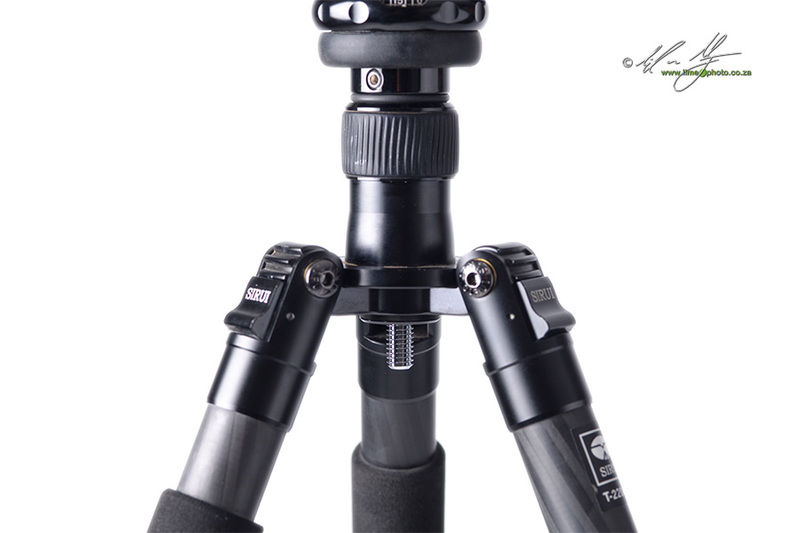 All five tripods have the same diameter leg tubes and number of sections. All five weight between 1.3kg and 1.5kg (with the first three weighing about 1.3kg) and support up to 15kg of weight. The R-2204 is probably the simplest of the three and also reaches the highest along with the T-2204XL. Due to the style of the tripod with a slightly taller shoulder, the R-2204 it is also the most stable with the centre-column extended. However, it doesn’t get down to the ground and only gets to a minimum height of 385mm. The S-2204N on the other hand has an unconventional folding design that allows it to pack easily in conventional suitcases. Similarly, because of the design I’d suggest that it’s a better tripod at full centre-column extended height than the T-2204X. 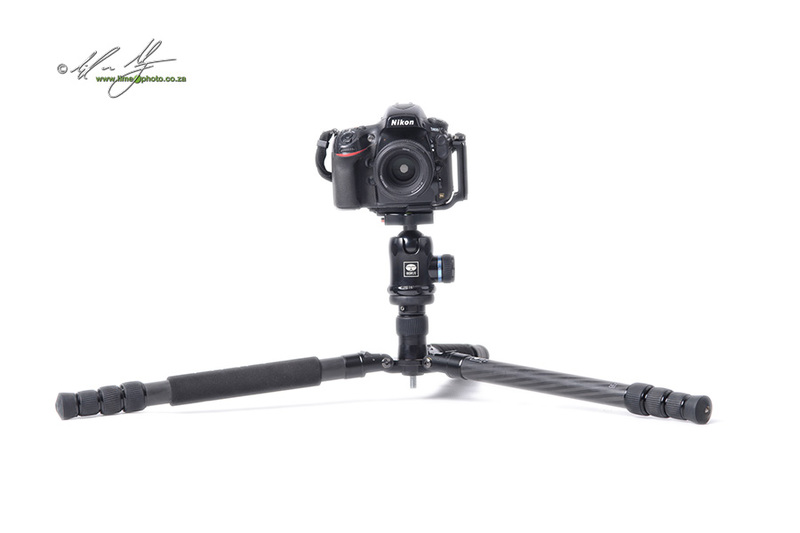 It and the N-2204X also come with a monopod in that one of the legs detaches and converts to a decently sized monopod. That said, I think that the T-2204X is my favourite of the three tripods that I have used (R-2204X, S-2204N and T-2204X). I personally prefer the design of a conventional tripod to that of the S-2204N. The T-2204X is easier to setup and also goes lower to the ground if necessary than the S-2204N. If you forgo the use of the centre-column, the T-2204X is also sturdy enough to adequately support a high resolution DSLR such as the Nikon D800. A more fitting conclusion could perhaps be had by one of the guests on the workshop that I led to Botswana’s Tuli Block and Kubu Island. All of the photographers who joined me were seasoned travelers - being an airline pilot sort of lends oneself to this. One of the photographers used the T-2204X for a day and came away very impressed, and wanting one. Most notably was the impression that it was the kind of tripod you could live with as a traveler. He wasn’t perturbed by the height limitation, despite being over six foot tall. What sold him was the weight, packed size and the ease of use - all of which a traveling photographer would be cognisant of. The T-2204X was lent to me with a K-30X ballhead which is the same that was used throughout the review. My personal take though is that the T-2204X is perhaps better suited to the K-20X or G-20KX which are smaller, lighter ballheads more suited to the lightweight travel nature of the tripod. My personal use of this tripod would be to ditch the centre-column and use the G-20KX, creating a very light, competently stable, and easily packed travel tripod. However, this is only one of several configurations that the T-2204X allows, making it a fairly versatile tripod. Finally, all Sirui tripods come with a 6 year manufacturer’s warranty. 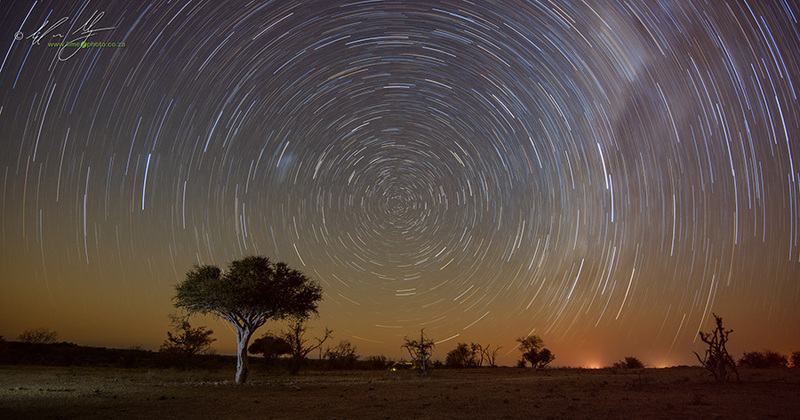 I know that the Sunshine Company who bring the tripods into South Africa will honour this. This adds a certain level of confidence when purchasing a Sirui tripod or head. The quality is excellent. It might not be at the same levels as some European brands, but it is so close that most people wouldn’t notice the difference. 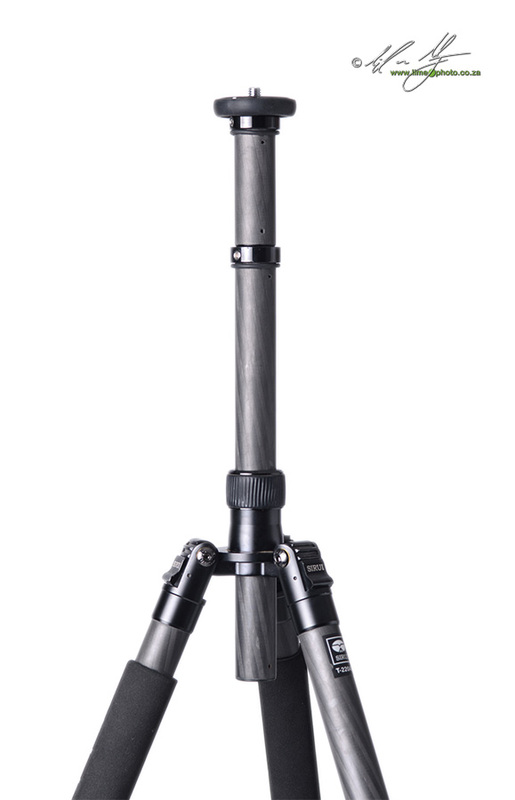 When I first started reviewing Sirui tripods I didn’t really feel that they were up there with the likes of Manfrotto and Gitzo. Now, they are, and in some cases have actually surpassed the European marques. If you are looking for a small, light, packable and easy to use tripod, you can’t really go wrong with the T-2204X. Well built, easy to use, lightweight, well-thought out features (with the odd use of the ground-level shaft a minor proviso). Lack of bubble-level can be frustrating. Use of centre-column not recommended for high-resolution heavy DSLRs like the Nikon D800, but adequate if used carefully for lighter cameras such as the Sony mirrorless cameras or the Fujifilm XT-1 which it was tested with. Competitively priced with spares and repairs easily accessed via The Sunshine Company. Slightly short as an all-round tripod, but extremely capable as a travel tripod. I would recommend it for this kind of use.